SEO is changing. So you need to know latest SEO trends. After Google launch Panda algorithm update in 2011 and Penguin algorithm update in 2012 lot of websites are get penalized. While Google panda punish for quality and uniqueness, Penguin punish for low quality backlinks. 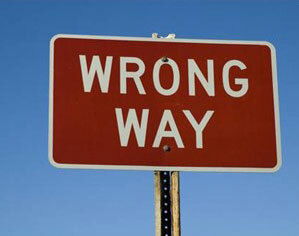 Link building in wrong way is one of the biggest mistake. Are You Still Making Any of these Mistakes in Search engine optimization? Over optimization for search engines is will leads to lose your sites rankings. Keyword stuffing is an over optimization. Repeating keywords again and again in your contents, heading tags, title tags can penalize your site. Excessive Backlinking and excess use of H1 tags will also be over optimization. Don’t use same targeting keywords more times. More than keywords you should use click here, your website name, your website URL, my site, your name or anything like this while you building backlinks. Buying backlinks is not a legal way of SEO. Links with more same URL will a big mistake. 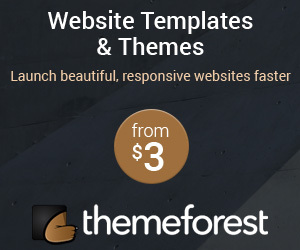 You should use other URL more than Home page. Building links very fast is also a unnatural way of link building. For a successful link building it is essential to balance nofollow and dofollow backlinks. Building low quality backlinks is an another bad seo technique. Backlinks from forums, and forums signature is such a low quality links. More backlinks from guest comments are also not a good backlinks. Internal linking is a great SEO technique. But most of people may not use it. Internal linking helps to minimize the bounce rate and visitors will continue in your site with other related topics. Nofollow links can avoid spam links. Everyone need backlinks, so they are hunting for that. Most of blogs and websites are now nofollow. Almost all social networking sites are using no-follow tag. Search engines may punish your site whether you link to any low quality sites or P0rN sites. The other reason is your page rank is divided, and goes to each outgoing links. Search engines will consider your site as link farm. It is a careless mistake, missing ALT text in images. Image ALT text is such an important thing in SEO. You should use relevant keywords in alt text to describe the image. It will bring you lot of traffic to your site from images search too. Social media doesn’t affect strongly, but it affect SEO. Google is using social signals in search engine optimization. Sharing your contents in social sites can gain some likes, traffic and some SEO improvement. Rahul I would suggest here to improve your English Grammar. Rest article is very helpful and useful for new SEOs.. Keep it up. Now a days google has become more strict towards website. So these are the point to be consider in 2013. nice article to help SEO guys. Keep it up man!!! twitter links are nofollow but when I share my pages in twitter I can see growing of SERP even in google. We like SOCIAL NETWORKING instead of doing SEO because of GOOGLE always change rules. Mistakes can be made by anyone, but learning by mistakes is important. SEO is very important for any website. So, we have to careful while doing Seo. Thank you for post such a useful article.